Palmach, a Zionist military unit whose commanders included Yitzhak Rabin, expelled the village’s Palestinian inhabitants in February 1948. After Haganah, the pre-state Zionist paramilitary organisation, expelled its inhabitants, less than 4,000 Palestinians remained. They are ghettoised in the Ajami district. Today, Israel includes Jaffa within Tel Aviv municipality. There are still relics of fortifications, including a wall and a tower, from that period. The capital and the holiest city in historic Palestine. Over 80 percent of the city was captured by Zionists in 1948 and the remaining 20 percent, now known as East Jerusalem, was captured in 1967. Founded in 1909 by the Zionist movement on the Mediterranean coast of historic Palestine, near Jaffa. It is the second most populous city in Israel, after Jerusalem. 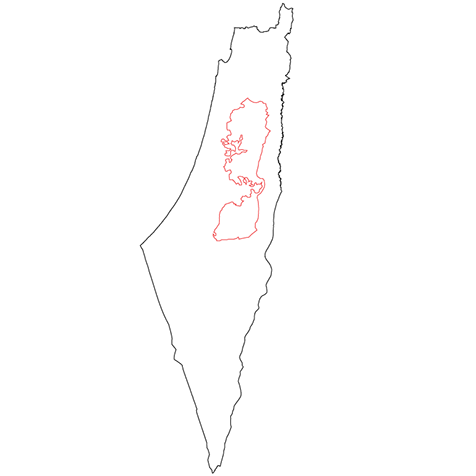 The Tel Aviv Metropolitan Area, which includes the Tel Aviv and Central Districts of Israel, contains 42 percent of Israel’s population. Today, Tel Aviv is an economic hub and serves as Israel’s financial capital. It is the fifth most visited city in the Middle East. A concrete and barbed wire wall built by Israel whose route lies predominantly inside the occupied West Bank. Construction began in 2002 and has resulted in the confiscation of Palestinian land by Israel and the ghettoisation of Palestinian communities. Highway 6 runs from northern to southern Israel. One of Israel's largest infrastructure projects, it helps Israeli settlers commute between illegal settlements in the occupied West Bank and Israel. The lowest point on earth. It includes the Dead Sea, which is 790 metres below sea level. The Jordan Valley is the border region between historic Palestine and Jordan. Politically, as long as there is an Israeli army presence in the Jordan Valley, there is no possibility of creating a viable Palestinian state in the occupied West Bank. One of the largest neighbourhoods in Gaza City, with around 100,000 Palestinian residents. The area was frequently targeted by Israeli airstrikes in 2008-2009. During Israel's "Operation Protective Edge" in 2014, Israeli forces launched a massive military assault on the neighbourhood, killing at least 100 Palestinians and forcing residents to flee. “Shujayea” in Arabic means “courage”. The Gaza Strip is one of the most densely populated places in the world. It is home to 1.8 million Palestinians, most of whom are the descendants of refugees expelled from other cities and villages in Palestine in 1948. One of the eight refugee camps in Gaza is Al-Shati Refugee Camp. The Gaza Strip’s small port is located near the Rimal district of Gaza City. It is the only port on the Mediterranean Sea where no ship from around the world is allowed to anchor, due to Israel’s occupation of the territory since 1967 and blockade. One of the most prosperous neighbourhoods in Gaza City, its main street connects the coastline with the old city.